Patrick is an international private client lawyer with experience in private client tax and trust planning in the UK, Ireland and the US. He specialises in UK tax planning for non-domiciliaries and has particular experience in US-UK and UK-Irish tax planning. Patrick is recognised by his peers and the private wealth industry as a leading expert in this area of law. Patrick advises high net worth individuals on tax efficient structuring of property transactions. He has a particular expertise in the use of family partnerships and family investment companies as a tax efficient wealth holding vehicle. 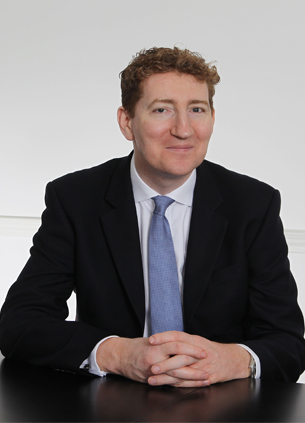 Patrick qualified as a solicitor in Ireland in 1997 and in England and Wales in 2003. He spent two years on secondment to a leading private client law firm in New York before joining Forsters as a partner in 2007. He has written and lectured extensively on US-UK tax and estate planning and is a regular speaker on cross-border US-UK tax matters in both the US and the UK. Patrick lectures on International Estate Planning at the STEP/Irish Law Society Diploma Course in Trust and Estate Planning. He is also an International Fellow of the American College of Trust and Estate Counsel and has been appointed a member of the FATF Task Force (Financial Action Task Force) and International Estate Planning Committee for the 2019-20 College year. Patrick is recommended in the Citywealth Leaders List 2017, 2016, 2015 and 2014. He is also recognised in the Legal Week Private Client Global Elite 2018 and the 2019 eprivateclient 50 Most Influential. He has recently been profiled in The Spear's Index of the Top 50 Tax Advisors and is identified in the current versions of The Legal 500 and Chambers Private Wealth Guide.